I want to know how to improvise, that is how to solo. There are almost as many answers to your question as people asking it, if not more. 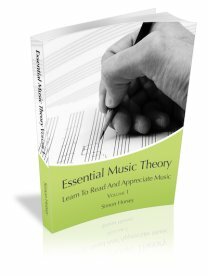 Improvisation is currently outside the scope of the Essential Music Theory site, but as I develop the site I may well try and add a general section on improvisation. I would say initially, be sure you know your scales and arpeggios. Major, natural minor, pentatonic and blues scales are good places to start. Once you are familiar with the scales you need to know your instrument. I had a teacher who used to get me to work out simple nursery rhymes such as Twinkle Twinkle, Frere Jacques etc. starting on C, then move up a semitone and start on C sharp, then D and so on, each time playing through the melody. In addition I recommend 2 Jamie Abersold books, both available on Amazon. How To Play Jazz And Improvise and Anyone Can Improvise. These are both excellent books on improvisation and the Jamie Abersold play along tracks are really good. As with anything in music, the more you practice improvising the better you will get. Many people believe the ability to improvise is some kind of innate skill or talent, but in my experience anybody who wants to learn and practises regularly can become good at improvising.